Plans to scrap one of the world's oldest clippers have been postponed in the hope campaigners can raise enough cash to fund a salvage operation. 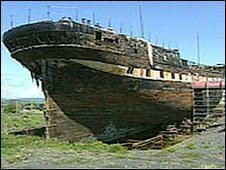 The City of Adelaide, built in Sunderland in 1864, has been rotting away on a Scottish quayside since 1992. Owners the Scottish Maritime Museum (SMM) had intended to begin breaking up the vessel later this month. But a move to transport the ship to Australia has been given until the end of May to prove itself viable. The vessel, also known as the SV Carrick, is five years older than the Cutty Sark and voyaged annually from London to Adelaide with passengers and a cargo of wool. Her sailing days ended in 1893 and she was purchased by Southampton Corporation for use as a sanatorium and floating isolation hospital following a cholera outbreak. She has been on a slipway in Irvine, Ayrshire, since May 1992 while a debate has continued about her future. 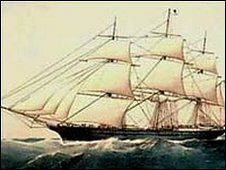 A SMM spokesman said: "In January 2010 the museum received a proposal from the Clipper Ship City of Adelaide Limited, Adelaide, Australia. "The proposal has been accepted as being technically feasible and the organisation has made a planning application to North Ayrshire Council to remove the vessel. "Clipper Ship City of Adelaide Limited have not provided evidence that they have the funds to complete the project. "But, after receiving assurances from the Scottish Government, the museum has temporarily halted the deconstruction plan to give the group time to put funding in place. "The museum will not extend the halt in the deconstruction beyond the end of May 2010. "The museum has not received any other detailed proposals for the preservation of the complete vessel." Last year a Sunderland councillor staged an occupation on board the vessel to highlight a campaign by the Sunderland City of Adelaide Recovery Foundation (Scarf) to bring it back to the city.